Title: How much on average do we use our smartphones everyday? Title: People check their smartphones about 85 times a day? 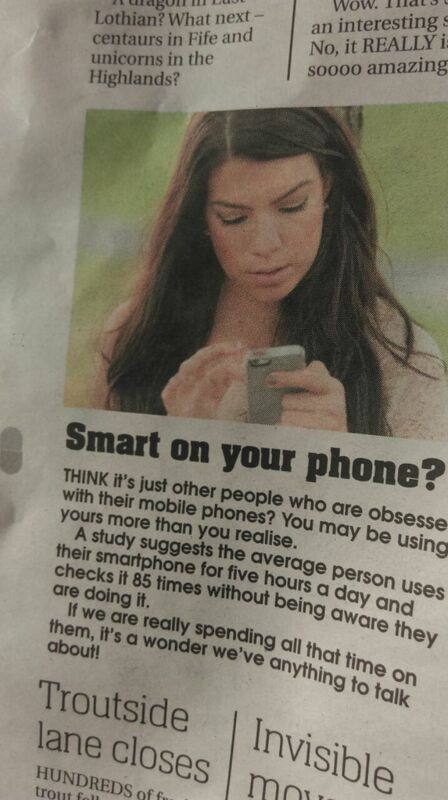 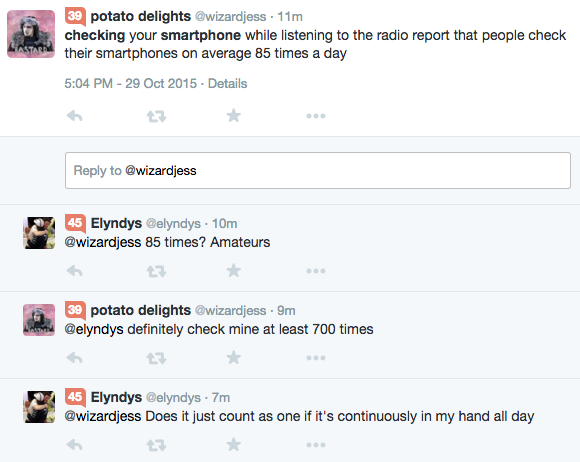 Title: How often do you check your smartphone without realising? 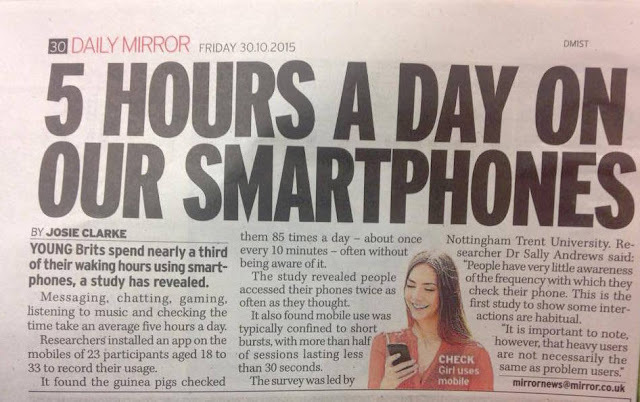 Title: Average smartphone use is up to five hours per day, according to one study. What are we sacrificing to use our mobile devices that much?